If next year’s movie release dates remain unchanged, it looks as if 2015 will be the “year of the sci-fi flicks!” Movie trailers and teasers for upcoming trailers have been making their way onto the Internet in force over the past few months (Star Wars reference intended). I know I’m late to the game, but I thought I would throw my critiques into the massive ocean of online film opinions. Since I’m a Star Wars fan to the core I decided to start with the next installment to the uber popular science fiction film series. George Lucas is the man. He’s responsible for two of the greatest trilogies in film history: the original Star Wars and Indiana Jones. Most of you probably aren’t surprised that I used the word “original” because like most of you, I was disappointed with the Star Wars prequels and disgusted by the newest Indiana Jones installment. The Star Wars prequels were disappointing as I said, but I don’t believe they were as bad as many other people thought. But never-the-less, they were not nearly as great as the originals. I had mixed feelings when I first learned that Disney purchased the film rights to the Star Wars franchise. They’re a huge company that will spare no expense in creating a movie, but at the same time they’re a huge company that wants to make as much money as possible by saturating theaters with films. I’m still not sure how I feel about the possible Star Wars character spin-off movies that are in development, but if the new teaser trailer for Star Wars: Episode VII – The Force Awakens is any indication then they’re moving in the right direction. I was happy to hear that JJ Abrams was directing/writing the next Star Wars film. I’ve always been a lukewarm Star Trek fan, but his two re-makes increased my interest in that franchise significantly. Plus, I was a Fringe fan from the first to last episodes and a Lost fan until it turned into a waste of DVR space. But so far I’m impressed with what I’ve seen in the teaser. The beginning of the teaser reminds me of the planet Tatooine when C-3PO and R2-D2 first landed there as they were running from the Empire in Episode IV – A New Hope. Right away the teaser brought back feelings and memories from the original films, which I’m sure was the plan. Then I’m hooked in when John Boyega’s character stands up in the stormtrooper uniform and looks nervous as hell. Plus, the voice that narrates the teaser has me thinking “Sith” right away. Many people believe this is possibly the voice of Andy Serkis. The new droid looks pretty neat. From what I’ve been reading online people are referring to this droid as the S-series of astromech droids, an update to the R-series which R2-D2 was famously a part of. I believe the R-series went from R1 to R10. Next is the piece with the stormtroopers where it looks as if they’re about to storm the beaches of Normandy. This is interesting because it appears that the Empire is still functioning after the results of the Battle of Endor at the end of Episode VI – Return of the Jedi. Look at the shorter stormtrooper in the middle of the pack…could that be John Boyega’s character? Also check out the new stormtrooper helmets – AWESOME! Daisy Ridley then appears on a vehicle (speeder bike maybe?) that looks similar to a pod racer from Episode I – The Phantom Menace. She looks as if she’s dressed similar to a Tusken Raider, making me think this is indeed Tatooine as it was theorized at the beginning of the teaser. If you pause the video as she’s boarding the speeder, there appears to be a Tusken Raider-like staff attached to the side. She’s definitely trying to get out of there in a hurry. The following scene is where I really start to get excited. The X-wings are back baby! Oscar Isaac is shown piloting an X-wing above a body of water alongside other X-wings what looks like a battle formation. The Rebellion’s classic symbol appears on his helmet and vest hinting that the rebels are still fighting against something or somebody. Enter what looks like a Sith in traditional black robes and with a red lightsaber! Most people believe this is the actor Adam Driver. I’m not sure, but my attention is completely on the lightsaber. I’m not sure what to think of the cross guard. It looks cool, but I hope it was designed this way for a reason and not just for the sake of creating something different. The cross guard portion of the lightsaber looks more like flames than lasers. The lightsaber appears to be of low quality as well from the look of the laser portions. It doesn’t look as crisp as its traditional counterparts. Maybe the character isn’t a Sith after all? Either way, I can’t wait for another lightsaber fight! Finally, the highlight of the entire teaser…THE FRIGGIN’ MILLENNIUM FALCON!!! The Millennium Falcon is my favorite of all the space vehicles, followed by the Battlestar Galactica and X-wing. Anyway, assuming Han Solo and Chewbacca are behind the wheel, the Falcon is back to its old routine: making crazy turns and loops while evading the Empire and/or other baddies. Check out the new rectangular satellite dish on top. Makes sense that it had to be replaced after the original dish got knocked off while Lando Calrissian was piloting it through the second Death Star. The Tie Fighters appear with their blasters firing as they head straight for Han and Chewie above what looks to be Tatooine again. The end scene is further proof that this desert planet (Tatooine?) plays a significant role and that the Empire appears to still be functioning after the destruction of Death Star II. Makes sense that not every member of the Empire was on the Death Star when it exploded into nuclear particle dust. 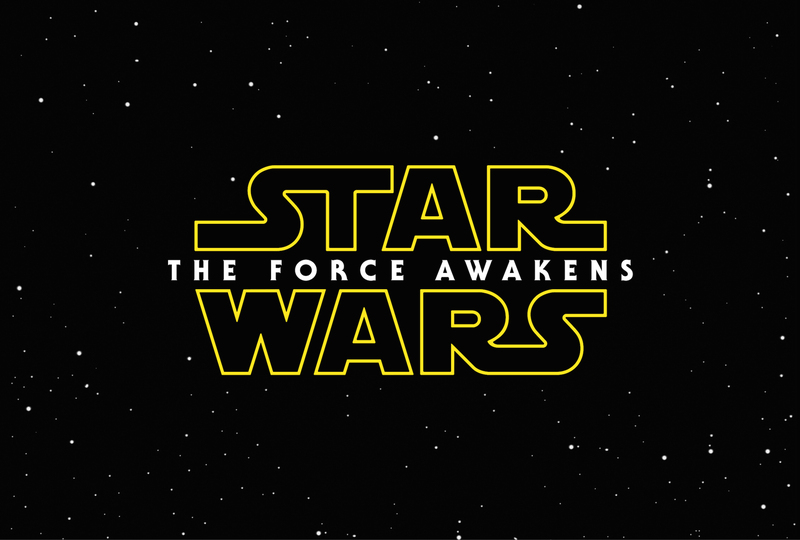 After the title for the next installment appears at the end of the teaser, a sound effect that clearly sounds like a lightsaber igniting can be heard. New rumors that are surfacing state that this is the actual sound effect of Luke Skywalker’s lightsaber as he activates it for the first time after Obi Wan Kenobi “passes it on” to him from his father Anakin Skywalker (aka Darth Vader…duh, you already knew this) during Episode IV – A New Hope. Could the possession of a particular lightsaber be an important part of the story? Some people theorize that somebody will find Luke’s lightsaber that he lost after Darth Vader sliced his hand off while fighting him in Cloud City above the planet of Bespin during Episode V – The Empire Strikes Back. In the end I’m very happy with the teaser. It shows a lot of promise and many of the scenes look very exciting. At the same time I’m trying not to get my hopes up because Episode II – Attack of the Clones had a good trailer and I thought it was the worst of the six films (I still can’t get over how bad the title is). We don’t get a look at Han, Chewie, Luke, Leia, C-3PO, or R2-D2 but perhaps we will when the whole trailer is eventually released…or perhaps we’ll have to wait until the release of the actual film. We know that they’re all in the movie, but how much of a role they play we don’t know. People are already making spoof teasers based on the teaser recently released. As an added bonus, I’ve included my favorite below. It’s a “Special Edition” spoof based on what George Lucas likely would have added to the film considering he was CGI-happy when he re-released the originals in theaters and while he was making the prequels. SciFi Pharmacist Guy was created and is operated by Dancing Dufus, Inc.